Nurses work with patients during a most vulnerable period in their lives. They share in the joys of birth and offer comfort when patients take their final breath. They celebrate life’s miracles, and as miracle workers themselves, they use their training to nurse patients back to health. Nurses advocate for patients’ needs, use evidence-based practice to improve patient outcomes, and meet the physical, spiritual, and emotional needs of patients. As the health care sector undergoes unprecedented changes, nurses will employ innovative solutions to meet the expectations of patients, families, and communities. Working closely with other members of the healthcare team, they remain a constant source of stability and comfort for patients. Nurses inspire public trust – which is evident from the results of Gallup polls that ranks nurses as the highest among professions for the 15th consecutive year. In the poll, 84 percent of the respondents rated nurses as very high or high as professionals who are honest and ethical. The public’s perception of nurses could be inspired by their interactions with these stalwart health care providers. Forming the largest segment of the patient care team, they provide the bulk of direct patient care and would remain at the forefront of the minds of patients and their families. Patients’ interactions with physicians are generally brief and specific. It is nurses who translate the physicians’ comments into a language that patients understand. They spend time conversing, educating, and connecting with patients on a more intimate level than other health care professionals. The Bureau of Labor Statistics projects employment for nurses to grow 15% between 2016 and 2026. The job growth is beneficial for existing nurses, but also promising to new nurses entering the workforce who can capitalize on the demand for professional nurses. Furthermore, the demand will carry into the future as nurses maintain a pivotal role in healthcare delivery for many years to come. The Associate Degree in Nursing provides adults with the knowledge, clinical skills, and judgment to care for diverse populations. Students will participate in clinical experiences that will reinforce the classroom experience to prepare students to work in various healthcare settings, including hospitals, clinics, long-term care, and outpatient facilities. Graduates will be eligible to apply to the Rhode Island Department of Health for eligibility to sit the NCLEX for Registered Nurses. They will have the skills to work in hospitals, long-term care, home health, clinics, and outpatient care. Graduates also have the opportunity continue on to the BSN degree through the RN-to-BSN program. In the changing world of healthcare, nurses are called to do more. As advocates, educators, and mentors, they must possess sound judgment and critical thinking. The ADN program will provide opportunities for nurses to develop these skills as they prepare for real-world practice. Hands-on experiences in labs equipped with simulation technologies will help students develop confidence in their ability to make clinical decisions, collaborate with other members of the healthcare team, and lead when called upon. The ADN program maintains the integrity of the scientific discipline of nursing. It includes foundational students in nursing science, social sciences, natural sciences, humanities, and technology. Courses such as foundations of nursing, the fundamentals of nursing, medical-surgical nursing, caring for the child and family, woman and newborn nursing, and psychiatric and mental health nursing prepare nurses to provide holistic, evidence-based care to culturally and ethnically diverse populations. Other critical courses covered in the nursing program include microbiology, critical thinking, lifespan development, social problems, healthcare communications, anatomy and physiology, and anatomy and physiology. The program outline and goals are such that graduates are prepared to pursue seamless academic progression to the baccalaureate, master’s, and doctoral programs. For consideration as a worthy candidate for admission to the nursing program, you must meet the minimum requirements for entry – and exceed the minimum wherever possible, as admission is often competitive. Licensed practical nurses may apply for advanced standing in the program through the evaluation of the credits for transfer. The requirements for the associate degree in nursing may be completed in as little as 18 to 24 months. Tuition at the Community College of Rhode Island is $2,074 per semester for full-time students or $189 per credit for part-time students. Additional fees include student activity fee, technology fee, parking fee, and learning resource fee. Nursing students must also budget for textbooks, uniforms, nursing supplies, insurance, CPR certification, background check, and transport to the clinical sites. As a member of the Nurse Licensure Compact, the Rhode Island Department of Health accepts applications for licensure as a registered nurse from RI residents, residents of a non-compact state, and adults who completed their nursing education outside the United States. Proof of RI residence must be submitted by applicants whose residence is within the state. The Department of Health requires all applications to submit to a criminal background check to be conducted by the Office of the Attorney General. 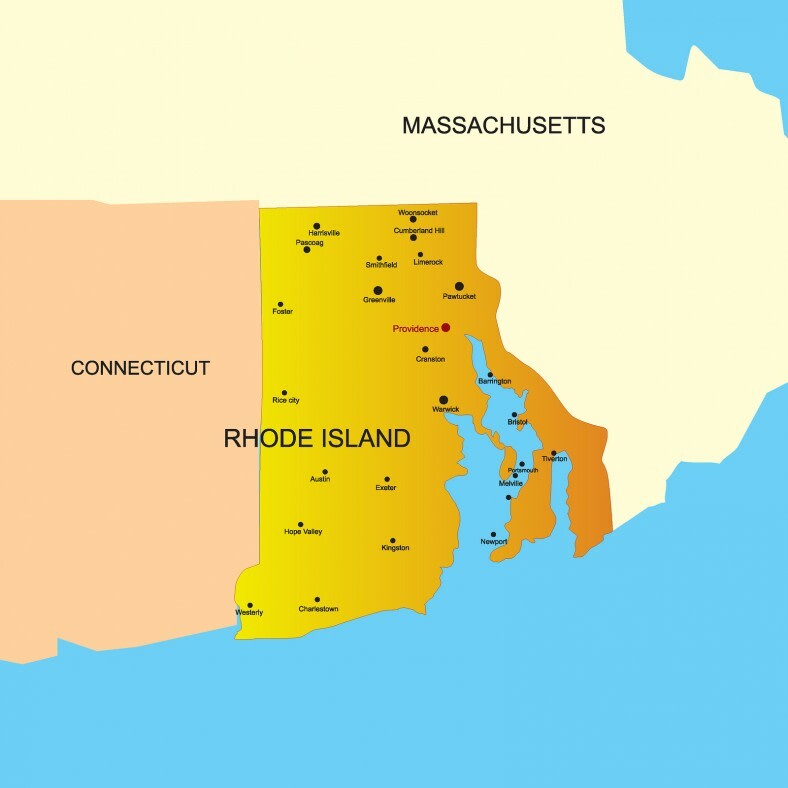 Provide proof of Rhode Island Residency if your primary residence is in the state. Provide a copy of your driver’s license, tax return, or lease with a Rhode Island address as evidence of residency. Request official transcripts from your nursing education program to be sent directly to the Board of Nursing. The transcript must include the graduation date and degree conferred. Submit an application to the Department of Attorney General for a national background check. The cost for the background check is $35. The fingerprinting process stops at 4:00 pm. Payment may be submitted using a Visa, MasterCard, American Express, and Discover. Submit an application to NCSBN to take the NCLEX exam. The Board will confirm your eligibility to take the test after receiving your official transcript with the graduation date and degree conferred. Once your eligibility to test is confirmed, Pearson Vue will email your Authorization to Test that will contain details for scheduling a test date. You must take the test within 90 days. Provide verification of your license from all states in which a license has been issued to you. You may verify your licensure online at nursys.com if the state is a member. If the state is not a member, you must request license verification to be sent directly to the Board. Use the Interstate Verification form to complete the verification. Applications for licensure as a registered nurse in Rhode Island must be submitted online at https://healthri.mylicense.com/. Use the following guidelines to submit an application if you graduated from a nursing school outside the United States and are not licensed in another state. Complete the requirements of the Commission of Graduates of Foreign Nursing Schools to verify that your nursing education meets the state’s requirements. Provide a copy of your Leave Earning Statement (LES), Letter from Command, Copy of Orders OR DD-214 showing honorable discharge. The Department of Health will send out renewal notices 60 days before your license expires. Renewal must be initiated online. Pay the renewal fee using a credit or debit card with a MasterCard, Visa, Discover, and American Express logo. You may also use ACH/E-Check by providing the bank routing number and checking account number. Allow five business days for the Department to review and approve the renewal. There may be a delay if the Department requires additional information to approve the renewal. You may check the status of the renewal online at https://healthri.mylicense.com/verification and print an electronic copy of your license card and wall certificate when it is available. Nurses must complete a minimum of 10 continuing education hours in each two-year licensing cycle to renew the RN license. At least 2 hours must be related to substance abuse. Any CE hours submitted for consideration must be approved by the Rhode Island Board of Registration and Nursing Education. Examples of approved courses include those recognized by the American Nurses Credentialing Center, a department of school of nursing approved by a board of nursing, or from an accrediting agency approved by the Board. Do not submit documentation of completing the CE with your renewal application unless requested. Keep a copy of the documents for at least four years to submit to the Board if you are selected for a random audit. You must sign a statement attesting to completing the requirements as part of the renewal process. The Board may grant an extension for the continuing education requirement if you have suffered hardship during the licensure period. The demand for healthcare professionals poses a unique challenge for the industry. Nurses account for the largest part of the health care team, so a shortage will impact the delivery of patient care. As emphasis shifts towards preventative care, the demand for professional nurses will increase. 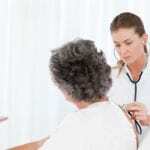 The growing needs of the baby boomer population will also increase the need for nurses. According to the American Nurses Association, more than 1.2 additional nurses will be required to meet the population’s demands. There will be an additional 1.13 million nurses needed in the workforce by 2022. On a state level, the UNAP RIH Education Fund projected that Rhode Island would need 43,000 nurses by 2020. Of course, factors such as location, economic conditions, changes in healthcare, and other factors will influence supply and demand. The United States Bureau of Labor Statistics also projects growth in the profession. According to their most recent projections, employment is expected to grow 15 percent through 2026. With a growth rate that is faster than the average for all occupations, nursing is definitely a profession to pursue especially as the demand will continue well into the future. The demand is great for general nursing and all specialties. However, nurses who prepare for specific specialties will be in greatest demand. Examples of high demand specialties include emergency room, labor and delivery, dialysis, neonatal, intensive care unit, operating room, and mental health. Preparing for specialty nursing is always worthwhile for associate degree nurses who may have a difficult time getting employment in hospitals. According to a Bureau of Labor Statistics 2016 report, registered nurses in Rhode Island earned an annual mean wage of $75,200 a salary that is higher than most states.